Looking for recommendations on things to do in downtown Portland, OR? Check out our guide to local businesses in the area. Portland, Oregon is constantly rated as one of the most popular cities in the US, and as you walk through beautiful, historic downtown, it’s easy to see why. People are friendly, the city is environmentally conscious, and the music and art scene is legendary. However, what makes Portland truly memorable is its local businesses. From restaurants, pubs, and cafes, to handmade goods stores and other family businesses, no trip to Portland is complete without frequenting the area’s local shops. Whether you’re visiting for the first time or are a PDX native with a new goal to shop local, there’s no better place to experience some of the best Portland has to offer than downtown. Our family’s jewelry business has called Downtown Portland home since 1980. Over the years, we’ve watched this neighborhood grow and become an exciting destination for both locals and tourists. We’re proud to be apart of this community and we love telling people about all the wonderful small businesses we are lucky to have as neighbors. In this guide, we’re highlighting 10 top-notch local businesses in downtown Portland. Browse through this selection of great small businesses and make it your goal to visit them all someday! Portland is one of the best cities for coffee in America. The area is peppered with countless spots to enjoy a truly great cup of coffee. Here in the City of Roses, pour overs and coldbrews are the norm and it’s not uncommon for cafes to source and roast their own beans. Those looking for a local multi-roaster cafe should look no further than Barista. This local coffee shop does offer some personally roasted blends, but also specializes in serving exceptional coffees from the world’s finest roasters. Barista puts special emphasis on the skilled preparation of the drinks, thanks to their team of experienced baristas. If you like whiskey, then the Multnomah Whiskey Library is the place to visit. Known as one of the best whiskey bars in the country, this iconic Portland spot has more than 1,500 whiskeys lined up against a brick wall and displayed in a true library fashion, sliding ladders and all. Multnomah Whiskey Library is a seated bar and offers an elegant, yet vintage vibe. It’s also notorious for long wait times, though most would say it’s well worth it! Put your name on the list then hang out in the Green Room until a table is ready. PINTS opened in 2012 and features thoughtful and experimental small batches of rotating beers. This brewery is a little north of downtown in Portland’s Old Town District, but the comfortable atmosphere, authentic Northwest vibes, and great brews will be calling your name. Visit on a Friday during happy hour and get dollar-off pints and free fries! Like the name implies, eating at the Mediterranean Exploration Company feels like a wonderful adventure through the eastern Mediterranean. The owners of this innovative Portland restaurant draw real-life inspiration for their menu by traveling to Israel and surrounding areas–and it shows! The food here is exceptional with culturally diverse, yet cohesive flavors. Besides the delicious upscale Mediterranean-Middle Eastern dishes, guests also love the restaurant’s open atmosphere, industrial-chic setting, and family-style dining. Make a reservation for dinner and make sure to leave room for the chocolate Baklava dessert. If you love those traditional, comfort food favorites, then you don’t want to miss Mother’s Bistro. This homey Portland cafe features country-chic decor and homemade favorites refined with classical cooking techniques. Some popular favorites here include the handmade dumplings, stews, and roasts. Everything at Mother’s is made from scratch and, of course, lots of love. Visit for brunch when you’re looking for a cozy morning! Pine Street Market is Portland’s first ever food hall. Located in the historic Carriage & Baggage Building, this bustling market features nine top Portland chefs and purveyors, all in one spot. Since opening in 2016, this market has become a top lunch spot. It’s casual atmosphere and “everything under one roof” feel makes it the perfect spot to sample various Portland flavors at once. The adult-cafeteria vibe and many food choices! Make this your go-to lunch spot and try all the food vendors! The Portland Outdoor Store is an enduring city landmark. Established in 1919, this unique shopping venue features western garb, outdoor gear, second-hand saddles, and more. In fact, walking through this store feels like stepping into a mid-century Marlboro ad. Visitors love the rich selection of Pendleton, Woolrich, Wrangler, and other classic western brands. Their huge selection of goods makes it a go-to-spot for all your outdoor adventure needs. Stop by when you need cowboy boots, Pendleton products, or any western wear. 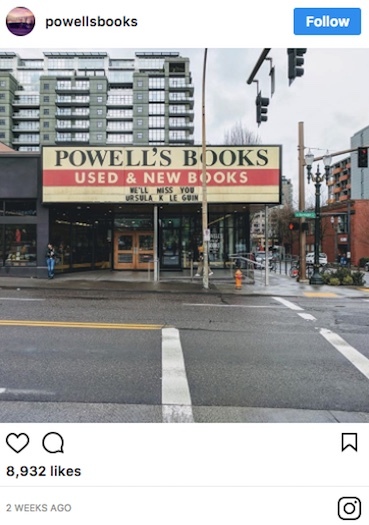 Perhaps the most iconic shop on this list, Powell's Books is the definition of a local Portland gem. This 68,000 square foot, three-floor bookstore is the world’s largest independent new and used bookstore. Of course, Powell’s Books also has its own cafe inside, making it easy to spend hours roaming through the nine rooms of books, drinking a hot coffee, and stocking up on reading material. It’s one of the best ways to spend a rainy afternoon in downtown Portland. Visit on a rainy day and spend all afternoon reading your way through the aisles of books. Around the world, Portland is known for its talented craftspeople and artisans. Made Here PDX celebrates these local creators by gathering them all under one roof and displaying them for sale in an art gallery style. If you love buying local handmade items, this shop is the perfect one-stop shop. Made Here PDX offers a curated collection of everything from bike accessories and candles to furniture and leather goods. Stop by when you need a gift for someone special...or the perfect Portland souvenir to bring back home. Of course, we think one of the best places to visit in downtown Portland is our local jewelry store! We started Malka Diamonds in 2010 with the goal of continuing our family's legacy in the diamond business. Today, we specialize in diamonds, engagement rings, custom designs and vintage pieces. Many of our customers come from out of town to view our incredible hand-curated vintage collection or design their own custom diamond engagement ring. We’re known for our relaxed, personalized service and incredible jewelry designs. Browse the selection of vintage pieces or work with a jeweler to develop a custom ring design for your significant other. 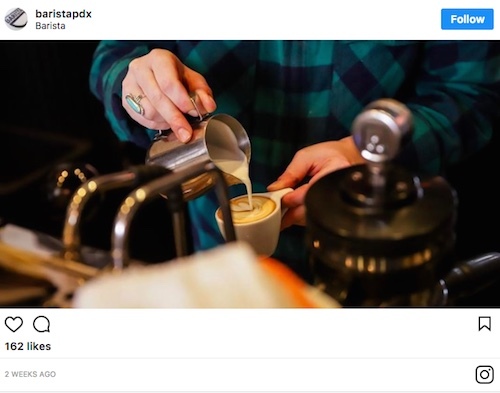 What’s Your Favorite Local Portland Business? Have you visited any of the small businesses mentioned above? Which one is your favorite? Tell us in the comments below! Or let us know about another local Portland business you love. We know there are so many great companies not mentioned on this list, so share your favorite! Newer PostCongratulations to Brock + BJ! Older PostCongratulations Lauren + Kevin!